Bridal Show, Sunday, October 14 - Downtown LA! Calling all Brides! 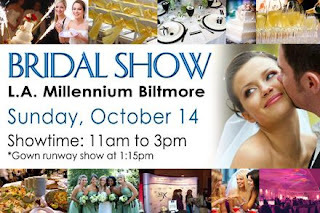 Come to the Bridal Show tomorrow, Sunday, October 14 a the LA Millennium Biltmore Hotel - Let's talk about your wedding! !